The 2015 Bishop Union high school bronco football teams celebrate homecoming this weekend. Frazier Mt is coming to town with only a Varsity team. Kick off is set for 7pm at Bishop Union’s John Schwab field. Gates open to the public at 6pm with the homecoming festivities starting at 6:30. The football game will be broadcast live on AM 1230 in the greater Bishop area and will be available live here at kibskbov.com via the listen live link. Arnie Palu and Rock Baker will have the call. Frazier Mt is 0-8 on the year under the direction of 1st year head coach Marc Sandall. Bishop Union is 3-5 overall and 1-1 in High Desert League play under the leadership of Coach Bill Egan. Coach Egan is in his 15th season as the head man of Bronco football and has guided the Broncos to the post-season every year. Bishop Union returns home after a four game road trip, including a pair of losses last week at California City. The Broncos wrap up the regular season with a pair of home games including Friday nights homecoming dual with Frazier Mt and next Friday’s home game with rival Kern Valley. 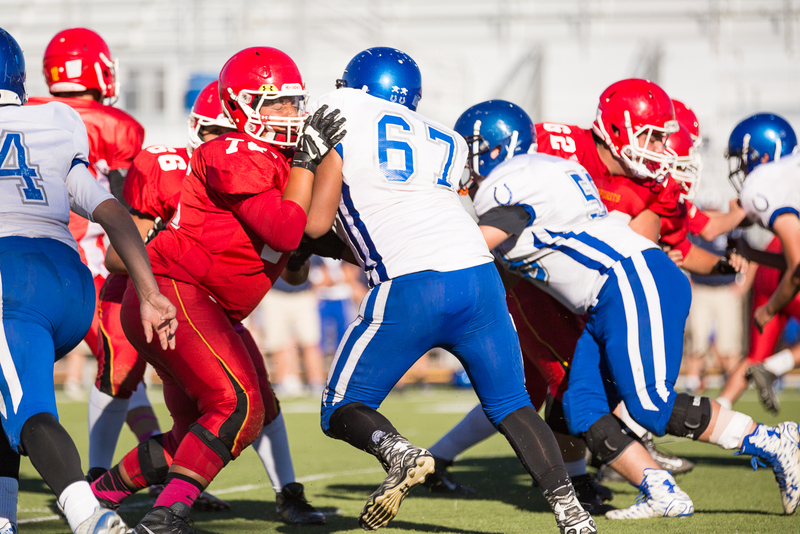 KV (2-0) is hosting California City (3-0) in a marque HDL match up this Friday. 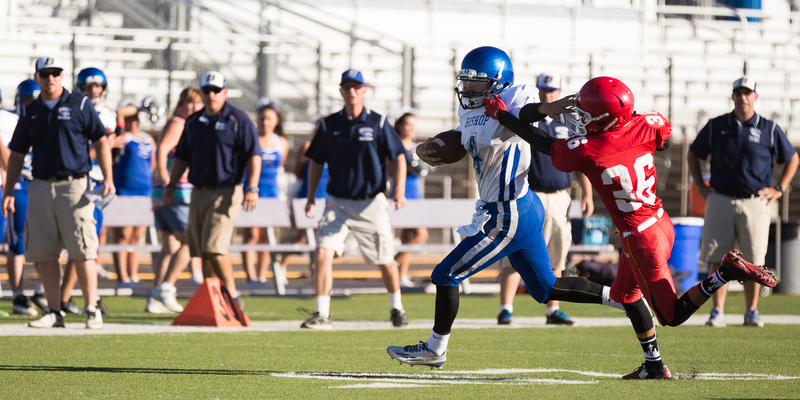 The California City Ravens football program notched it’s first ever varsity football win over Bishop Union. 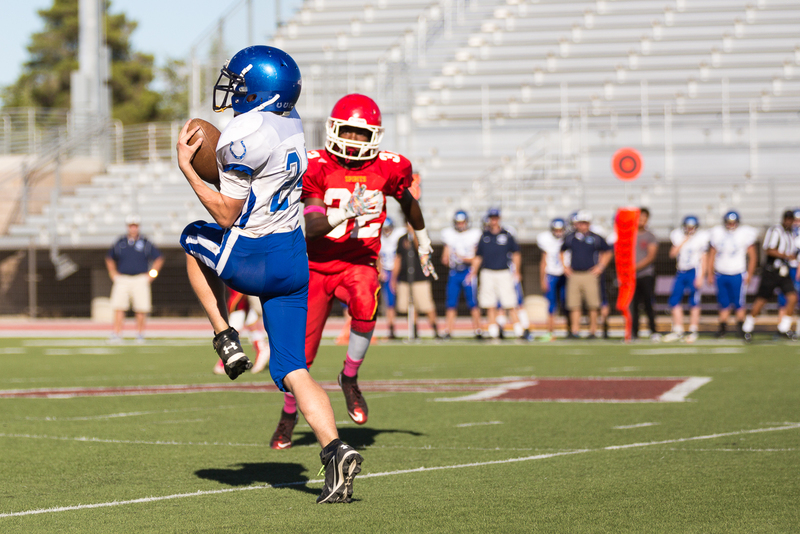 Cal City used a power running game and converted 4 on-side kicks in route to a 34-17 victory. The Ravens are 3-0 in High Desert League play while Bishop Union slides to 1-1 in HDL play. Cal City will play at Kern Valley this Friday in a match up of HDL unbeaten teams. Bishop Union will try to bounce back hosting Frazier Mt in a homecoming dual. Friday’s homecoming game will feature only a Varsity game beginning at 7pm. The Ravens power rushing attack ground out 387- yards with both Kalani Madrona and Dylan Little eclipsing 100 yards. As strong as Cal City’s running game was Friday night, it was a pass that put the Ravens on the score board. Raven Quarterback Jystin Rice connected with Deonta Macloren on a 23-yard pass putting Cal City on top 6-0. The Ravens then converted the first of their four successful on-side kicks. The Bishop Union Defense would come up with a take away as Austin Jones tipped a pass to outside linebacker Hunter Kampmoyer. Hunter returned the interception to the Ravens 19-yard line. Ethan Lamb converted the pick into points hitting a 25-yard field goal. Cal City then fumbled the ball away on their first play of their next drive. Bronco Senior Logan Stephenson found the end zone from 8-yards out putting the Broncos on top 10-6. California City would score on three of their next four possessions taking a 28-10 lead. Cal City would hold the ball for a majority of the first half successfully recovering four on-side kicks. The Ravens scored first in the second half with Quarterback Jystin Rice scoring on a quarterback sneak capping a 59-yard drive. Bishop would answer with a score of their own with Junior Quarterback Izaak Morgenstein stepping in for injured quarterback Ryan Graves. Morgenstein called his own number on a option play scoring on a 4-yard run. The Morgenstein touchdown making the score 34-17, and that would prove to be the final score. The Bronco JV fell to Cal City 26-14. Bishop fell down early 6-0, but moved even at 6-6 with a Hunter Waasdorp touchdown pass to Mark Mayhugh covering 29-yards. Cal City responded with a pair of scores for a 20-6 lead. With time expiring on the 2nd quarter clock, Bishop’s Trace Sapp intercepted a Raven passing returning the pick for a touchdown…however it was ruled that Sapp stepped out of bounds prior to reaching the end zone. Sapp would get credit for a second half score punching in a quarterback sneak and 2 point conversion pulling the Broncos close at 20-14. Cal City would put the game away with a 4th quarter touchdown winning 26-14. The Bishop JV have a bye this week as Frazier Mt does not have a JV team. The Bronco JV will wrap up their season the following Friday with a home game with rival Kern Valley. Cover photo by Arnie Palu, California City sunset. 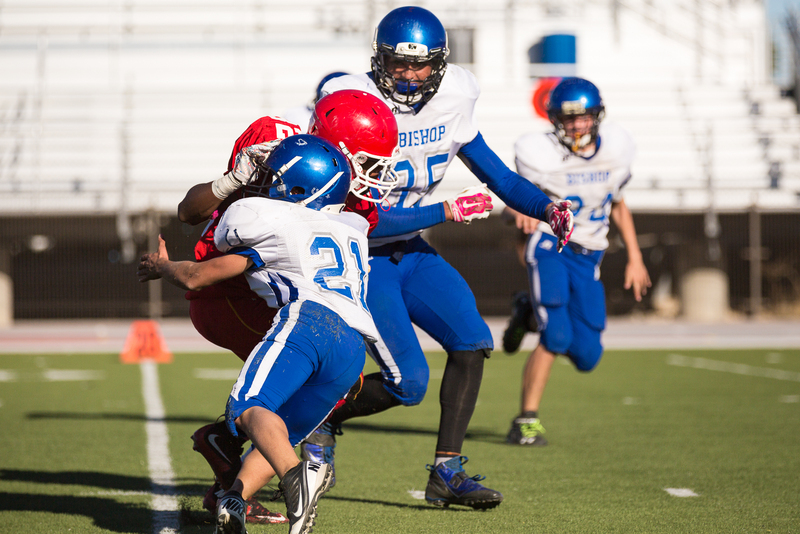 High Desert League play began with a pair of strong Bishop Bronco wins. The Varsity winning 42-14 and the Junior Varsity winning 30-14. 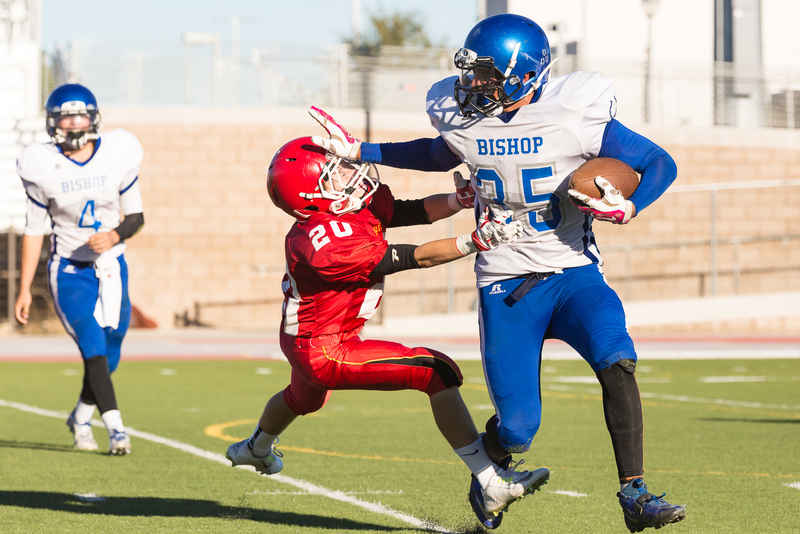 Bishop will now play out of league this weekend with trips to Sierra Canyon. The JV will travel on Friday for a 6pm game at Sierra Canyon’s campus, the Varsity will play Sierra Canyon Saturday at 5pm. The Varsity game will be broadcast live on AM 1230 and streamed live here at kibskbov.com through the listen live link. Prior to Fridays game at Rosamond, Bishop Union High School coach Bill Egan was excited to have Logan Stephenson back in the fold at running back. After the game the coach had to be ecstatic. Stephenson carried the ball 13 times for 182-yards and 4 touchdowns. Stephenson was injured on the opening kickoff of the season’s opening game. With 3 minutes left in the first quarter Friday night the senior was given the ball for the first time…..Logan took the ball from quarterback Ryan Graves and sprinted 42-yards for a touchdown. Stephenson would add rushing touchdowns covering 36, 11, and 35 yards. Angel Santana and Sean Brown would also score rushing touchdowns. The Bronco ground game allowed the Broncos to open up a 21-0 lead early in the second quarter. Rosamond would respond with a pair of second quarter scores making the half time score 21-14. Bishop would put the game away in the third quarter with a trio of scores, two Stephenson touchdowns and the Sean Brown 5-yard exclamation point. Brown led the Bishop Union defensive effort with a team high 15 tackles and 1 sack. Anthony Miller added 12 total tackles, Angel Santana 8, Izaak Morgenstein 7, Hunter Kampmoyer 7 tackles, 3 tackles for a loss, and 1 sack, Ryan Rennie 6 tackles and a sack. #20 Ethan Lamb. Lamb converted 6 of 6 PAT kicks. #11 Izaak Morgenstein holds. #4 Ryan Graves and #53 Brandon Forrest. 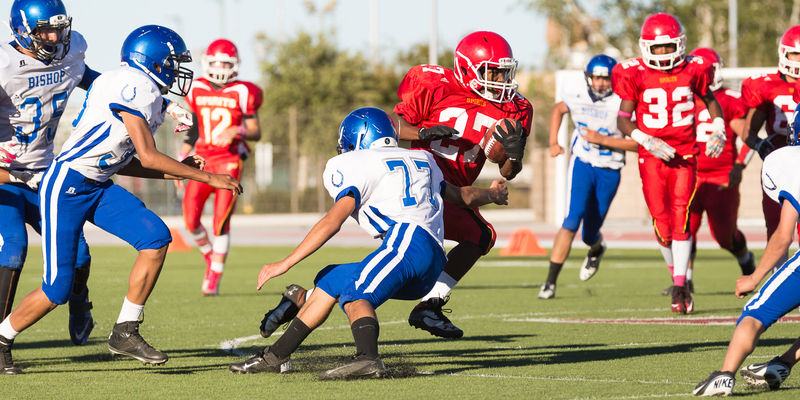 The Bronco JV fell behind Rosamond 7-0 Friday afternoon. Bishop would not trail long as sophomore Trace Sapp returned the ensuing Rosamond kick-off for a touchdown. Freshman Michael George ran in the two point conversion putting the Broncos up 8-7. The Bronco special teams stayed hot as Edward Piper blocked a punt on Rosamond next drive. Piper not only blocked the punt but also recovered the lose ball for a touchdown. Trace Sapp ran in the two point conversion giving the Broncos a 16-7 halftime lead. Rosamond would pull close in the third quarter with a touchdown making things tight at 16-14. But exactly like he did in the first half Trace Sapp would return the ensuing Rosamond kickoff for a touchdown making the score 22-14. Quarterback Hunter Waasdorp then engineered a clock eating touchdown drive covering the final 7-yards with a touchdown run. Trace Sapp ran in the 2pt conversion making the score 30-14. The Bronco defense forced three turnovers with Trace Sapp picking off a pair of passes and Josh Barnes pulling in a 4th quarter interception. The Bishop Broncos and Mammoth Huskies begin league play tonight. Bishop Union will travel to Rosamond while Mammoth will play host to Boron. Both varsity games will be on the air tonight. Bronco football will air live on AM 1230 and will be streamed live here at kibskbov.com. The Huskies and Bobcats will air live tonight on FM 100.7 KIBS. Arnie Palu will have the play by play for Bronco football with Richard Reel handling the Huskies-Bobcats call. HDL Schedule. Bishop opens at Rosamond tonight, Frazier Mt travels to California City and Kern Valley has the High Desert League bye. The Lions roared with pride Friday night downing Bishop in both Varsity and Junior Varsity play. The lions topped Bishop Union by a combined total of 80-12. The Junior Varsity could not stop the Lions ground game falling 36-6 while the Varsity fell victim to several Lion big plays dropping a 44-6 decision. Bishop Union High School’s varsity will look to bounce back with a Friday night trip to Mammoth. 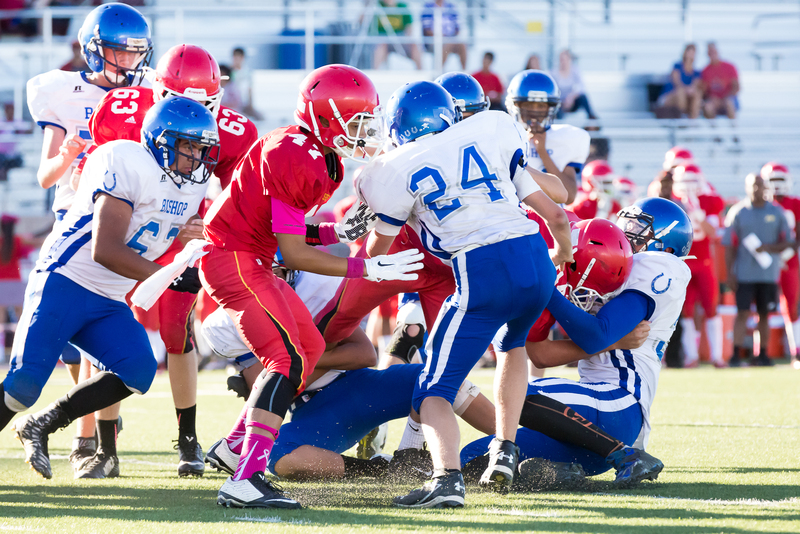 The Junior Varsity will have a bye week with Mammoth unable to field a Junior Varsity team. The Varsity match up is set for a 7pm kickoff at Gault/McClure stadium and will be broadcast live on 100.7 KIBS and streamed live here at kibskbov.com. Rock Baker and Arnie Palu will have the play by play. The Bronco special teams allowed three Yerington touchdowns Friday night as the Lions rolled to a 44-6 win. Harrison Cisneros returned a punt 77-yards for a score in the first quarter starting the Lions big night. 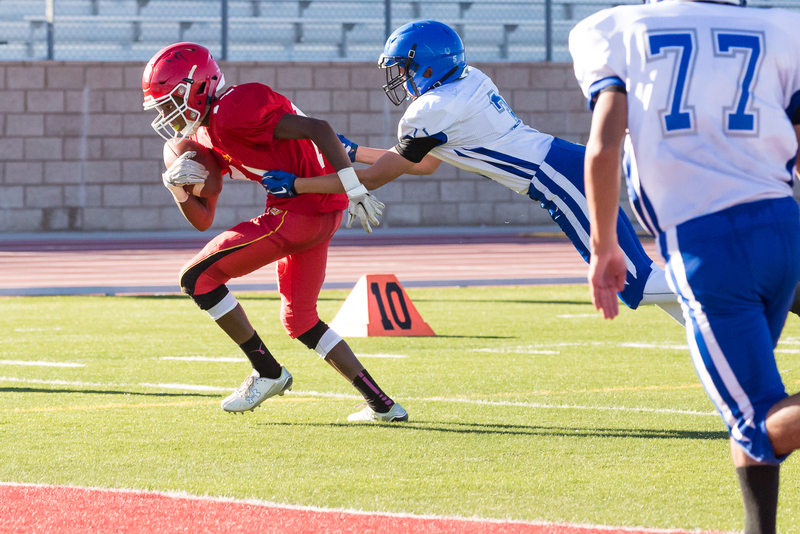 David McFalls later blocked a punt and recovered the lose ball for a second quarter touchdown and Harrison Cisneros ran in a third quarter fake punt 49-yards capping Yerington’s special teams scores. The Lion’s David McFalls also contributed to the scoring with a two-yard touchdown run early in the second quarter. Yerington’s quarterback Dakota Aiazzi completed two long touchdown passes including a 85-yard screen pass to Cisneros and a 54-yard bomb to Reese Neville. The Lion’s Daniel Sciarani drilled a fourth quarter field goal capping the Lions night. Sciarani also intercepted two Bishop passes. The lone Bronco score was set up by a fantastic defensive play by linebacker Sean Brown. On Yerington’s opening play of the second half the Junior stripped the ball from Cisneros setting up the Broncos at the Lion 28-yard line. Ryan Graves capped the short drive with a 3-yard touchdown run. Ryan Graves, 11/15, 116 yards. Hunter Kampmoyer 6 for 79 yards. Izaak Morgenstein, 2 for 35. Mike Molina, 10 for 29 yards. Hunter Kampmoyer, 14 tackles, 3 tackles for a loss. 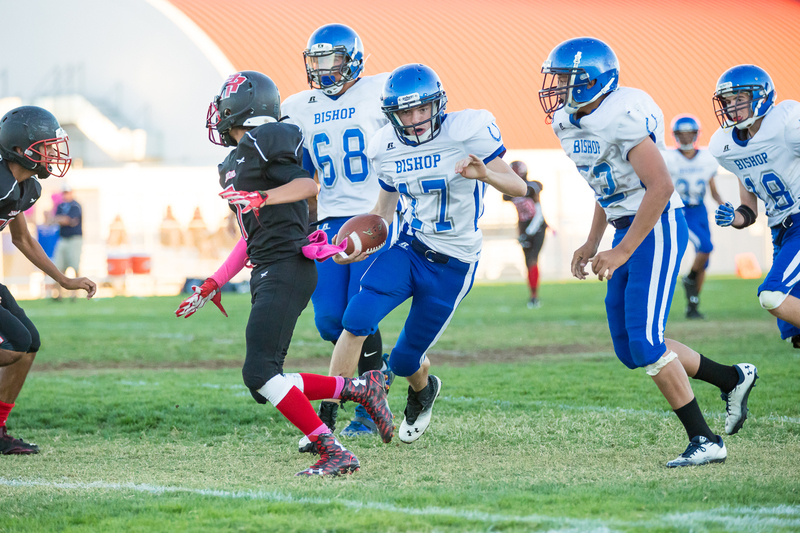 The Bishop Union High School Junior Varsity opened strong forcing a Yerington punt and then marching down the field for a score. Sophomore Lorenzo Parra rumbled into the end-zone putting Bishop on top 6-0. Yerington would then put their rushing game in high gear rolling to a 36-6 victory. Lorenzo Parra led the way for the Bronco JV offense and defense. The Bishop Union High School JV will have a bye this week and be back in action on Friday, September 18th with a trip to Vasquez. 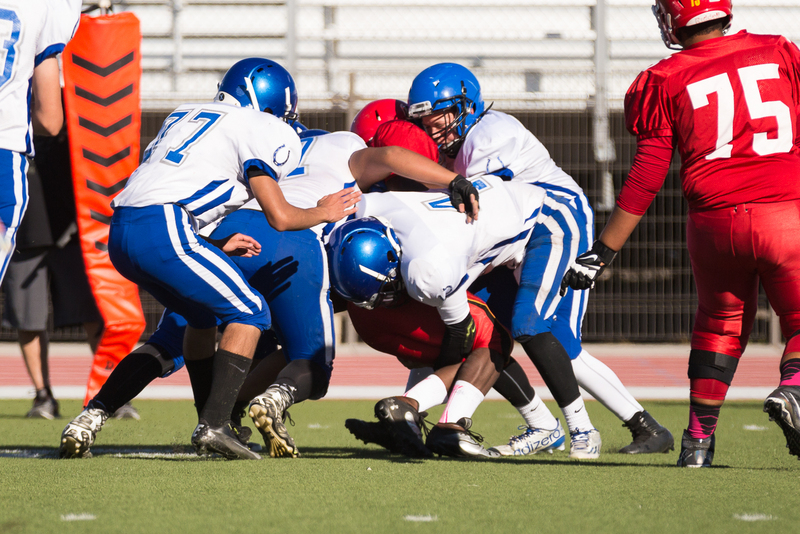 The JV have also picked up a game Friday September 25th hosting Boron at 4pm. The Hearlds of Whittier Christian used two fourth quarter touchdowns to top Bishop 21-16 Friday night. The Rough Fire near Hume Lake provided a haze filled night for a rough and tumble dual. Both teams lost their starting running backs early. Bishop’s Logan Stephenson was lost on the games opening kickoff. Whittier Christian lost running back and middle linebacker Justin Osborn early. Osborn left the game with a leg injury after a Hunter Kampmoyer tackle. The Broncos opened the scoring with 2:50 left in the 1st quarter when sophomore Mike Molina found the end zone from 9-yards out. Hunter Kampmoyer providing a great lead block. Ethan Lamb connected on the point after putting Bishop Union up 7-0. Whittier Christian answered with a 75-yard scoring drive. Nick Watase filling in for Osborn finished the drive with a 4-yard run. Whittier then pulled off the surprise on-side kick to grab full momentum. Bronco Seniors Anthony Miller and Angel Santana would team up to get the ball back. On the Hearld’s first play, Miller forced a fumble making a perfect strip-tackle, Santana made the fumble recovery and the Bronco offense took over. Bishop Union would then drive within the WC 5-yard line. The Broncos were lined up for a fourth and goal, but following a 5-yard penalty, would settled for a 25-yard Ethan Lamb field goal. Bishop Union led 10-7 with 8:15 left in the first half. The score would remain 10-7 until Whittier Christian’s Quinn Commans hit Cade McGee for a touchdown pass with 8:44 left in the 4th quarter. The score capped a 89-yard drive putting WC on top 14-10. WC scored on their next possession with Nick Watase running in his second touchdown of the night. Leading 21-10, WC would surrender a 61-yard Bronco scoring drive capped by a 11-yard touchdown pass from Ryan Graves to Mike Molina with 3:29 remaining. Following the Graves to Molina score Bishop Union would try an onside kick, but the Hearlds would recover and run out the remaining time on the clock. This week the Broncos will travel to Yerington. 7pm kick off with the Lions. The game will be broadcast live on AM 1230 and streamed live here at kibskbov.com, click on the listen live link Friday Night. Ryan Graves, 13/15, 179 yards, TD. Mike Molina, 6 for 56 yards, TD. Hunter Kampmoyer, 4 for 55 yards.Izaak Morgenstein, 2 for 53 yards. Ryan Graves, 10 for 29 yards. Mike Molina, 7 for 21 yards, TD. Moran West, 5 for 30 yards. Anthony Miller, 10 tackles, 1 forced fumble. Angel Santana, 2 quarterback sacks, 1 forced fumble, 1 recovery.